Our first year homeschooling did not go well. Math was pretty near a disaster. I guess you could say it was the year my son learned to hate math. At the end our first year I discovered that my son learned best by thinking and applying concepts. As a result, I looked into the Critical Thinking Company’s math. Their math program was quite different than what we had experienced with Horizons math during our first year schooling. I knew that I needed something that approached math differently. The Critical Thinking company approaches math concepts beyond the typical practice drill. It approaches math through the why and helps children understand why they are doing a math problem. Math was no longer a disaster. It wasn’t loved or anything, but it was no longer a struggle. The book was easy to use, the activities were varied, and it helped my child learn. For first grade I used their main Mathematical Reasoning book as well as the Complete the Picture Math book. Since my 4 year old was wanting to join us some for our school time, I purchased the preschool book for him. This was back when they had one book for 3-4 year olds. Now they have two separate books for preschool. I let him decide how much he wanted to do each day. Let’s just say that the Pre-K Mathematical Reasoning book was pretty basic. He easily did 25 pages the first day. The first part of the book covered concepts like shapes, colors, and basic patterns. Even though it was pretty basic, my son enjoyed it. If I had to do it over again, I would have skipped the preschool book. The Complete the Picture Math book has one real-world problem on each page. Once my son finished the problem on the page, he completed the picture at the top of the page. As a supplement I also used the Rainbow Rock CD-Rom game. It is from Singapore Math and since both of my boys love games I pulled this game out for them to practice math concepts every so often. It features 2 math games as well as multiple math practice activities in two different levels. Both my boys (aged 4 and 6) enjoyed Rainbow Rock. It is now rather dated and not readily available. We continued with Mathematical Reasoning for 2 years. My boys both enjoyed the workbooks and I enjoyed how easy it was to use. However, when my oldest was starting 3rd grade it was clear to me that my son’s future interests (unchanged from toddlerhood) were going to remain STEM related. As a result, I wanted to move him into a more rigorous math curriculum that would help him grow his mathematical thinking skills. So we made the jump to Singapore. My son was in the middle of the 3rd grade Mathematical Reasoning book and tested into Singapore 2A. My younger son was in the middle of the first grade Mathematical Reasoning book and tested into Singapore 1B. We stuck with Singapore through Singapore 5 and I’m happy that we made the switch because it seems that all of my kids have strong STEM interests. Now that child who had a disastrous math year is in the middle of a rigorous algebra curriculum that focuses on the why of math. We never went back to a math curriculum with lots of practice problems. Instead, we have focused on the why of math. It has made all of the difference! Now my son proudly says math is his favorite subject! I NEVER thought that I would ever hear him say those words all those years ago. 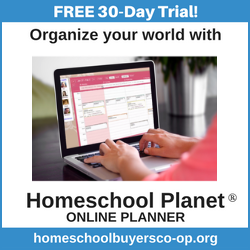 Looking for recommended resources for homeschooling? Be sure to check out Gifted Homeschoolers Forum for a list of recommended resources. Stop the Common Core Math Madness!